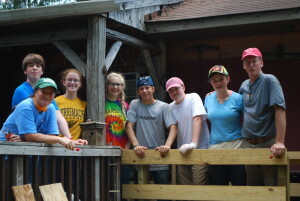 St. Paul’s High School Youth Group is planning its fifth mission trip with Appalachia Service Project in July 2019, to repair and renovate homes and trailers in West Virginia. In 2018, we returned to Craigsville, WV, with our biggest group so far: four vans and 29 people. 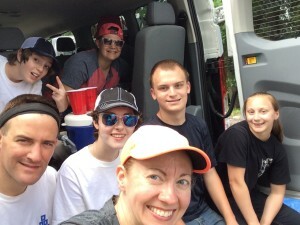 In 2016, we undertook our third trip, to Bland County, Virginia (seventeen youth, seven adults) following successful trips in 2013 to Logan County, WV (four youth, two adults) and 2015 to Craigsville, WV (eleven youth, four adults). Participants have learned how to build railings and ramps, repair and replace tin and mulehide roofs, and replace floors and wallboards, among many other skills. Along the way, tripgoers spend time socializing with the individuals and families whose homes they’re working on, meeting other volunteers from around the country, and experiencing a different way of life. 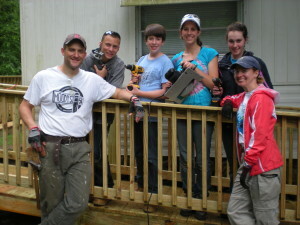 For more information about ASP, visit www.asphome.org.